Study break! | Help! I live with my Italian mother in law! So what I learned today, is that SEO stands for Search Engine Optimization. Huh! Who knew. I feel like a new woman just knowing this, haha. And while I now completely understand why I should have opened my new blog terrerosseportofino.wordpress.com in .org instead, well lets just say that some lightbulbs are going on in my head and it is all a part of a great learning experience. You see, .org lets you use some really cool plug-ins for SEO and Zazzle. Michael Hyatt was promoting this on his blog and I just plain ignored him because I thought .com had more appeal from an end-user perspective. Guess I should have listened to him more carefully. On another note, I also opened a new Facebook Group page called “Help! I need my folio rossa”. This is a new support group that I created for people who are trying to study for the Italian “pink card” or driver’s license. And, of course, ooops again, I spelled folio wrong! In Italian it is “foglio”. See why I so desperately need a support group? Okay, one more thing and then I’m outta here. As I have been expanding my network and getting geared up for our new B&B there is no end to the possibilities of Social media and what you can learn from it. I recently had the pleasure of meeting Rick Zullo online. He has just released a handy restaurant guide and he is giving the e-book away for free! This was written by English speaking food bloggers who live in Italy. So, if you are planning a trip soon to Italia, I suggest you get this e-book because it will truly hook you up to eat like a local while in Rome, Florence, Venice or along the Amalfi coast. Okay peeps! I have dinner to make, studying to do and a fuzzy white cat to cuddle. Oh, and also a Saturday date with Mama…should be another adventure to post about soon. 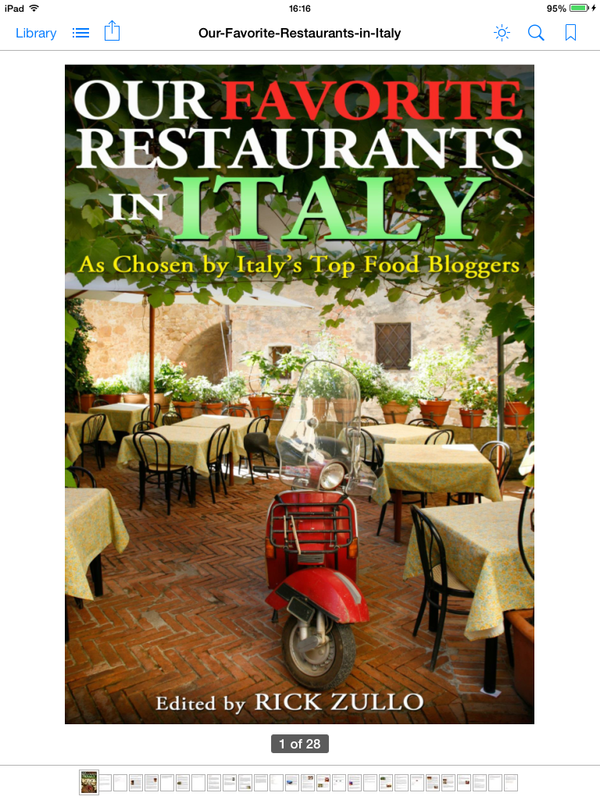 This entry was posted in Food, Italian Culture, Tourists, travel, Zazzle store and tagged eating in Italy, foglio rossa, Michael Hyatt, restaurant guide, rick zullo, SEO, support group. Bookmark the permalink. 2 Responses to Study break!